I have just spent two days up in Uru, checking out the campsite, and most importantly doing a full assessment of the computers at Uru Secondary School, of which you have seen some computers. Previously I had only had time to open up five of the computers and found that leaky CMOS batteries had possibly killed all of them. What I found yesterday was much more disturbing, and frankly left me fuming. Out of 27 computers in that room, only the Apple Mac seems redemable. It has a corrupted operating system which surely can be repaired. What was worst was the discovery that 11 dumb terminals with no floppy drives, hard drives or CD drives had been sent all the way from Cumbria to Uru. This is akin to sending knife handles across the world, but telling the recipient that you are sending knives. The boxes that are sitting in Uru Secondary School library cannot be used without some sort of application server, which has not been supplied. Yesterday I was beside myself in wonder at how the hell money was spent on sending these computer husks to the developing world. They have burdened Uru School with something that in the long run has cost them more in terms of storage, attempted repair, and loss of space than if nothing had been spent at all. Not to mention raising hope. All I can think is that at some point the call went out for computers for Uru, and somebody opened a cupboard somewhere, and looked inside, saw what looked like old computers, felt a warm glow in their heart, and didn’t even attempt to see if they could be used. So, the headmaster at Uru School has managed to pull together 4 computers out of more than 30 that were sent. Two are running Windows 95, and two are on Windows 3.11. This has pretty much demolished my plans for connecting Uru to the internet. 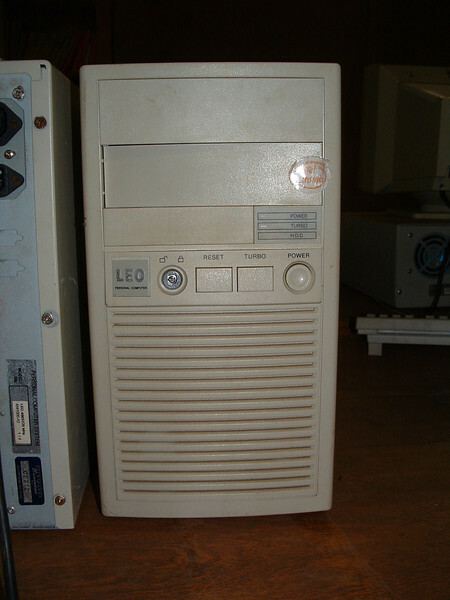 If anyone out there has some decent computers they want to put to good use somewhere, please get in touch. If you have some old dusty box in the corner that you can’t work out why you haven’t thrown it away – just throw it away!